Delta Air Lines and Virgin Atlantic today announced updates to their respective summer 2018 schedules to optimize their joint network between the United States and the United Kingdom. The strong partnership between the two airlines is focused on offering customers more convenient travel options and the best travel experience across the Atlantic. Effective March 24, 2018, Delta will introduce the Airbus A330 aircraft on its New York-JFK, Atlanta and Detroit routes to London-Heathrow. The A330 aircraft, which are equipped with Wi-Fi and feature 34 fully flat-bed seats in the Delta One cabin will bring Delta's onboard customer experience to a new level as well as increase the number of seats on these U.S. routes to London-Heathrow. RFID checked baggage tracking updates available direct to mobile devices through the Fly Delta App. "Our partnership with Virgin Atlantic was founded on and continues to be focused on improving services for our customers," said Dwight James, Delta's Senior Vice President — Transatlantic. "The introduction of the A330 aircraft brings more seats and an enhanced onboard experience to the UK market, while our comprehensive network continues to provide a greater choice of destinations and schedule options for our customers across the Atlantic." 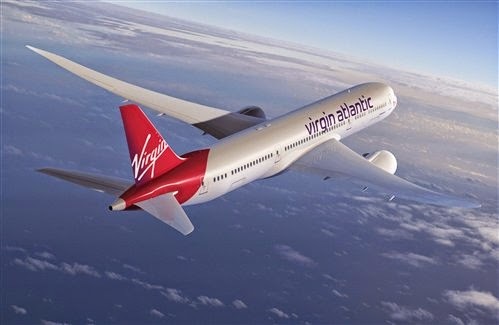 Shai Weiss, Chief Commercial Officer — Virgin Atlantic said, "Together with our joint venture partners Delta Air Lines we've created an unrivalled service for customers travelling between the UK and US. We're the only partnership to offer Wi-Fi on every single trans-Atlantic flight and fully flat beds with direct aisle access in every business cabin. From March 2018 even more customers will have a chance to experience Virgin Atlantic flights between London and New York as we add an additional flight, and those travelling on Delta will be able to enjoy their fantastic A330 aircraft for the first time." The joint venture partnership between Delta and Virgin Atlantic continues to grow, allowing both airlines' customers to benefit from a high-quality and complimentary travel experience with customer service being a key priority. In 2016, the joint venture connected almost five million customers on over 23 routes to over 200 destinations in the U.S.